We know it’s all in the details. The sincere welcome. The discretion of the staff. The historic location. The dog you don’t have to leave behind. The 24/7 fitness center. The unflappable Concierge. The cashmere throws, heated towel racks and Frette linens. The luxurious signature amenities. The personal touch. Even before you arrive, XV Beacon Hotel is at your service. No need to wait until you pull up to 15 Beacon Street to ask for Red Sox tickets, an in-room massage, a private tour of historic sites—whatever your interests! Simply call or email our Concierge with your needs. We look forward to your visit and welcome the opportunity to fulfill the most challenging of requests. Love XV Beacon’s Guestroom Mattresses? If you are interested in purchasing any of the other amenities you see in the room, please call the hotel directly for pricing. 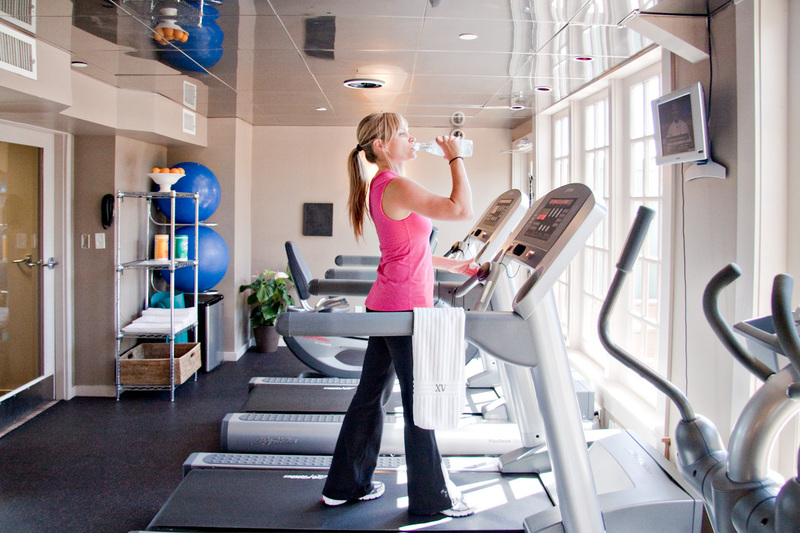 Our complimentary in-house exercise room is open 24 hours a day and includes: free weights, Woodway treadmills, Octane elliptical, functional Cybex trainer and stationary bike. Private trainers and in-room yoga can also be arranged. For those who savor the great outdoors, walking and jogging trails are in close proximity to the hotel: The Boston Common and Charles River bike paths are only blocks away. Our Concierge staff can offer maps and directions to these great outdoor choices and even arrange for bike, skate or boat rentals. Amidst the bustle of commerce and sightseeing, XV Beacon Hotel provides a haven of serenity and resourceful planning. Rely on our dedicated and resourceful 24-hour concierge service to fulfill your every request. Not sure where you’re going or what to do? Ask our Les Clefs d’Or Concierge for recommendations on the latest locavore hotspot, best sports bar, top restaurants, or hottest gallery opening. Our Concierges welcome the opportunity to assist you with acquiring tickets, securing various reservations or planning a memorable weekend away. 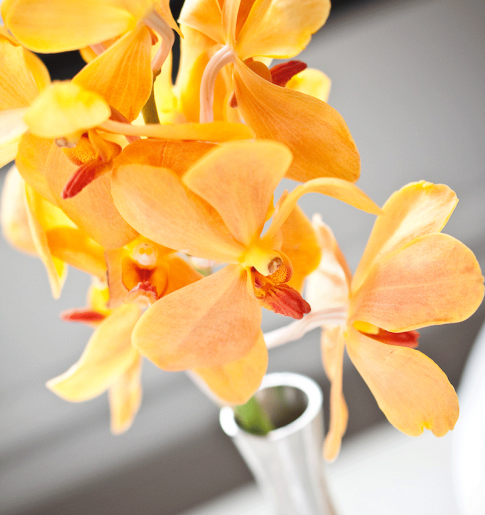 As a luxury boutique hotel awarded for excellence, we offer discreet, personalized service. Take advantage of our courtesy in-town Lexus service in our GX460 and our LS600h. XV Beacon wants your entire family to feel at home with us. That’s why we pride ourselves on being a dog friendly hotel. We welcome well behaved dogs of any size at XV Beacon. 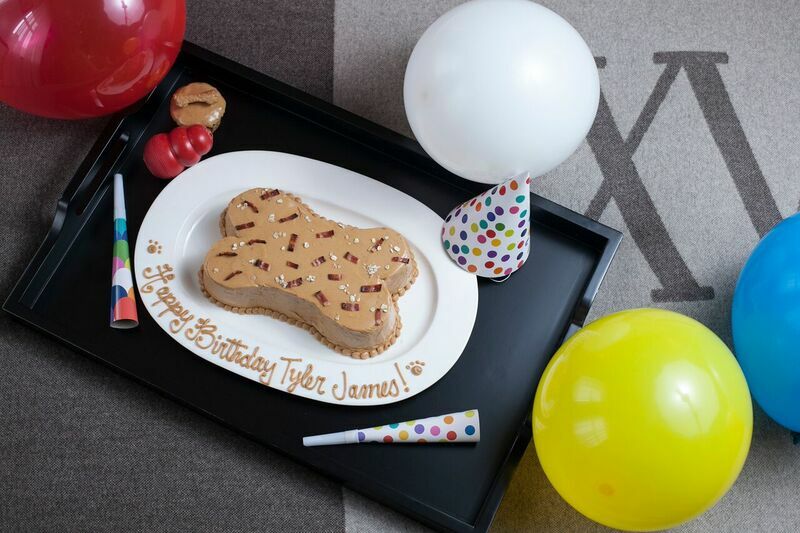 Pamper your pup with homemade healthy dog biscuits, a plush bed and turndown water. Dog sitting and walking can be arranged prior to arrival. (Note: Your furry friends should not be left unattended in the room. Please call the hotel to verify the pet policy.) 100% of your $25 pet donation will be directed toward various reputable charitable pet organizations in your dog’s name.